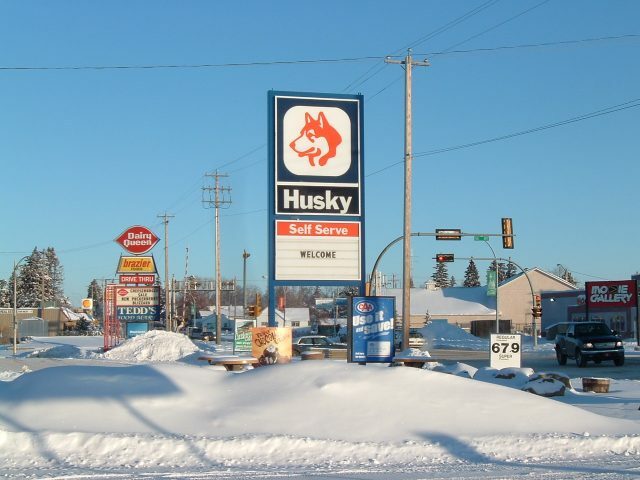 A husky in Cadillac, Saskatchewan. Taken in May 2005 by Travis Meginbir. 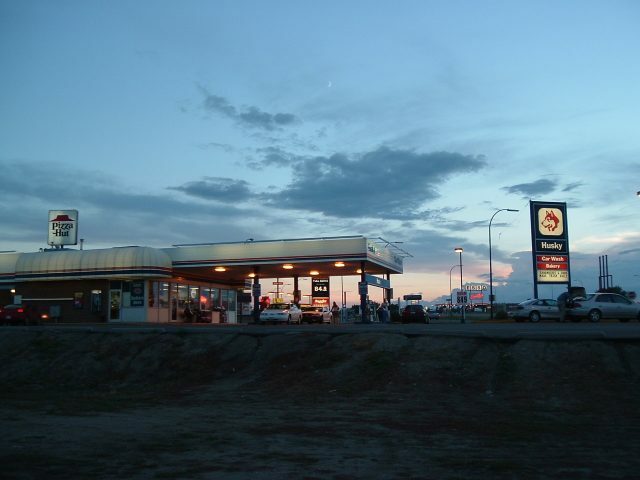 A Husky station along US 6/50 in Delta, UT. The station obviously has been closed for a while and is being used for storage. 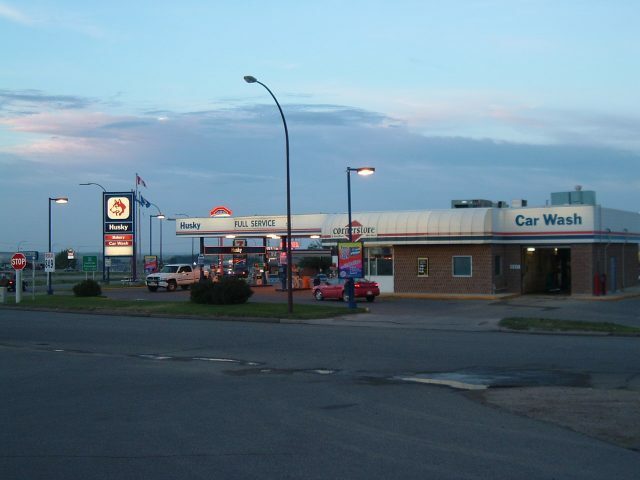 Photo taken July 18, 2006 by Rich Piehl. 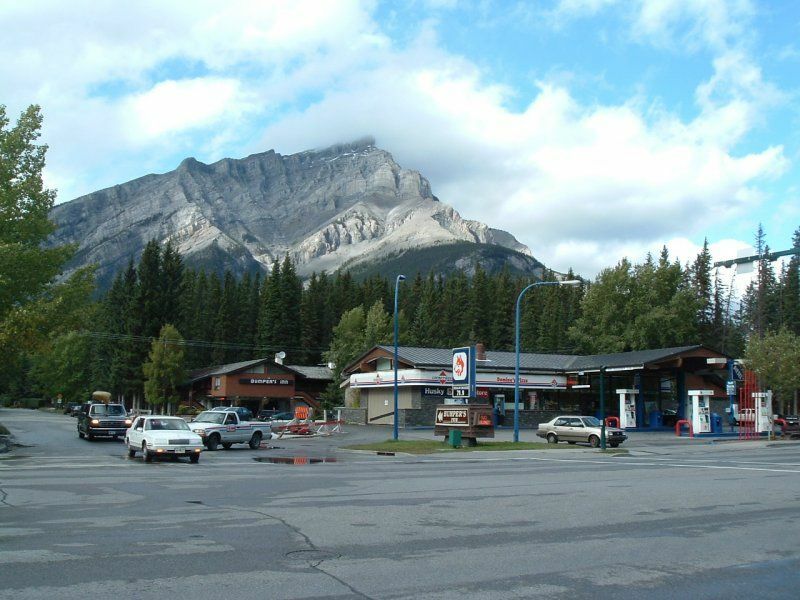 A Husky station in Banff, Alberta. Taken 11 Sept, 2004 by Travis Meginbir. 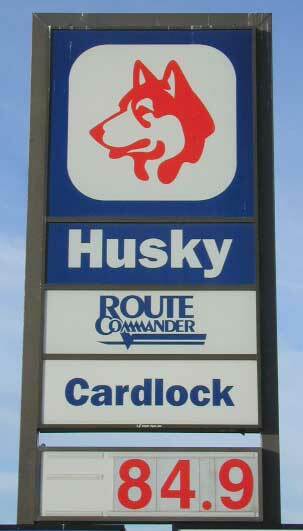 A Husky in Whitehorse, Yukon Territory. Taken summer 2003 by Craig Solomonson. 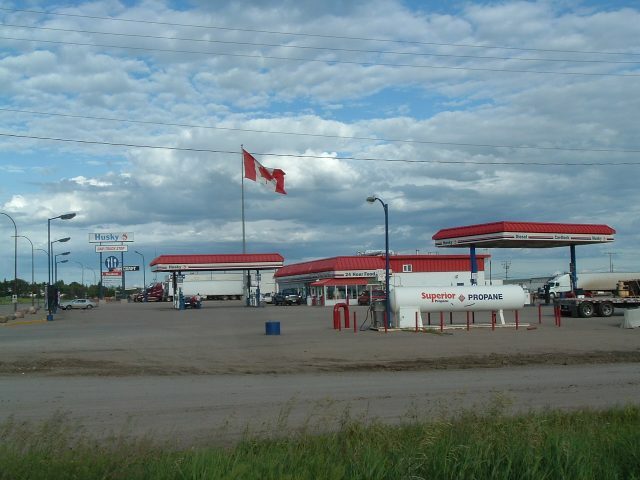 Trans-Canada Highway in Swift Current, Saskatchewan. Taken July 21, 2004 by Travis Meginbir. 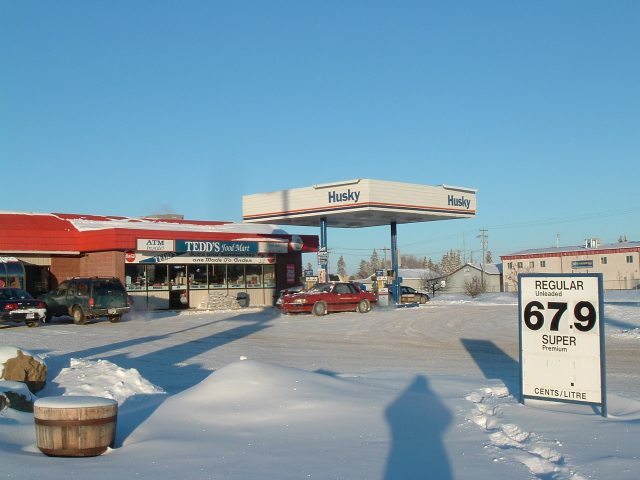 Two shots of a Husky in Olds, Alberta, Canada. 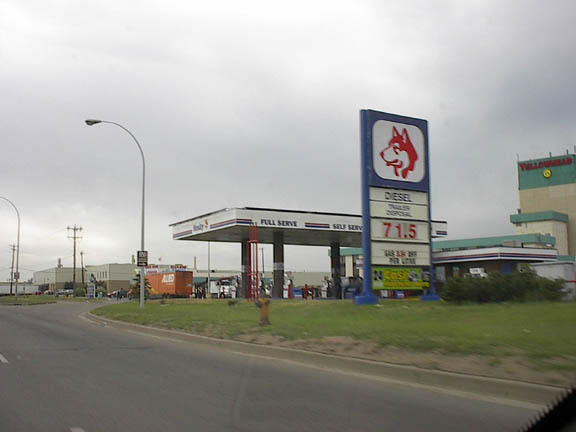 Husky on TCH 16 near 170 St. in Edmonton, Alberta, CA. Taken July 8, 2002 by Rich Piehl. A 1967 Husky map scan from Robert Droz, 2003.